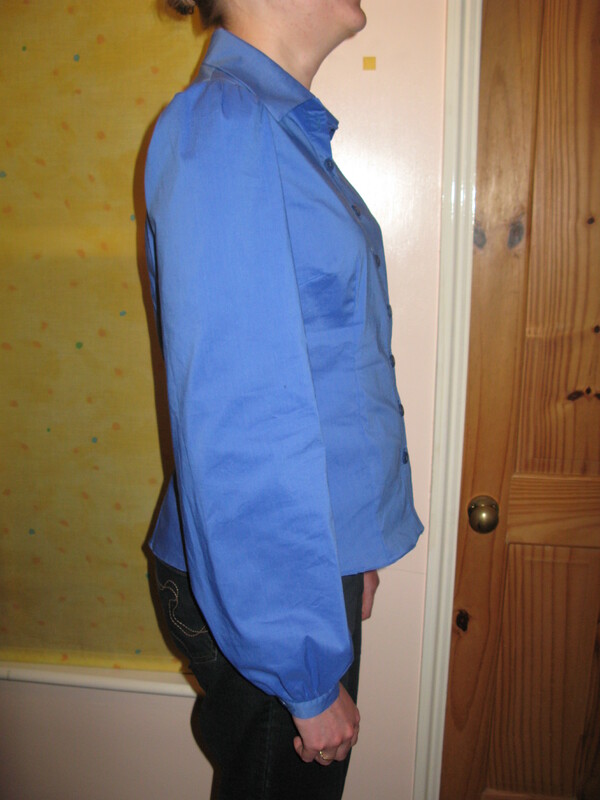 As part of my sewing course I have to make an unlined jacket, or a blouse/shirt. 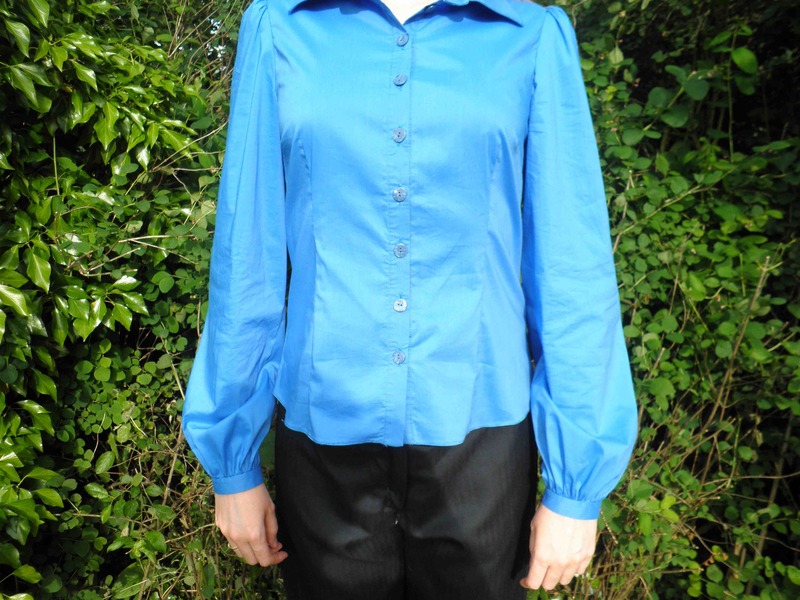 I opted for a blouse, and went for the one in a pattern I already had, Simplicity 2758. I’d read a number of favourable reviews on patternreview.com and I also liked the design. 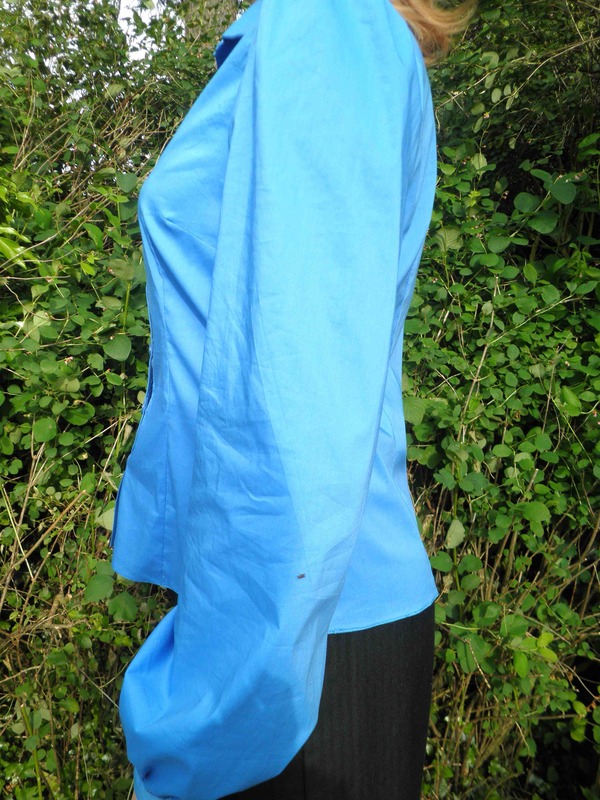 I’ve chosen a lovely blue cotton with a bit of stretch. Particularly nice to see, were the individual cup sizes. I thought this would help with the chances of a good fit. I am thrilled to say so far this hope is being rewarded. 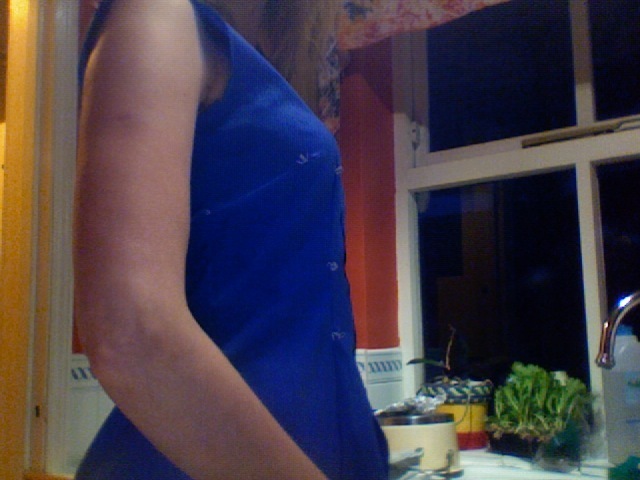 Here are the first photos of the bodice. 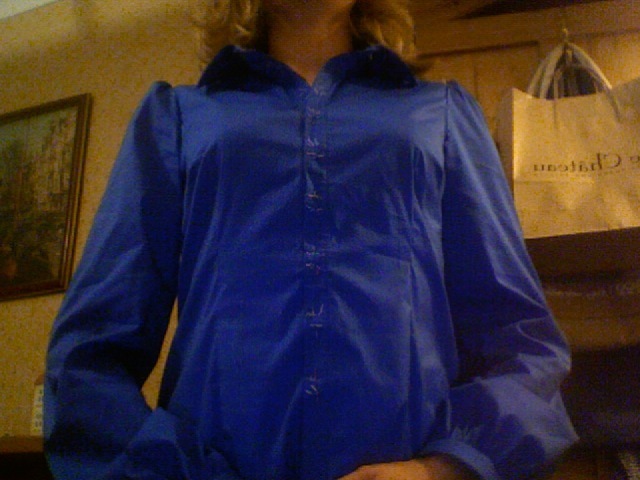 Well, after a few more days I have now been able to attach both the collar and the button band. It’s still going well and now the only major addition still to do are the sleeves. Here’s a photo of how it’s looking so far. Another week, and another weekend. As you can see from another post, I have been somewhat led astray from working on my shirt and have instead substituted this with a skirt. The skirt is now done, and I am back on track. 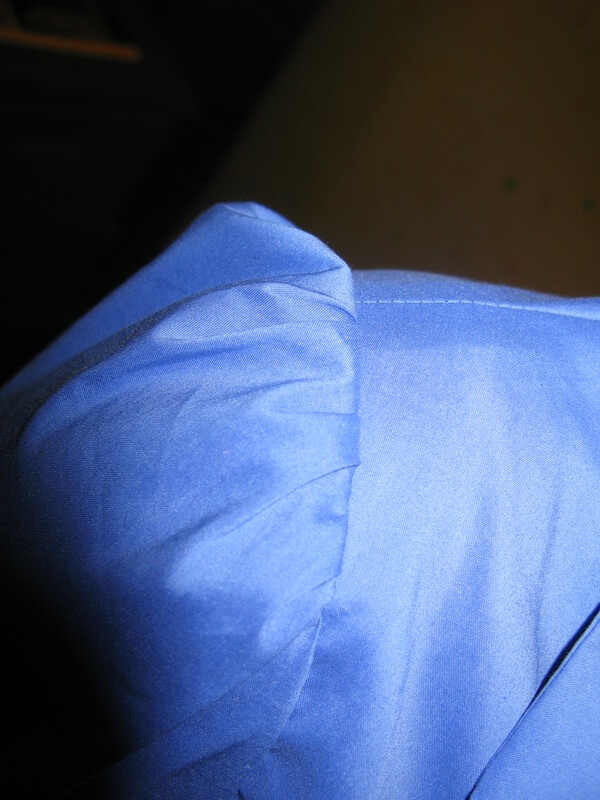 The last few days have been productive, and I have been able to add both the sleeves and the cuffs. 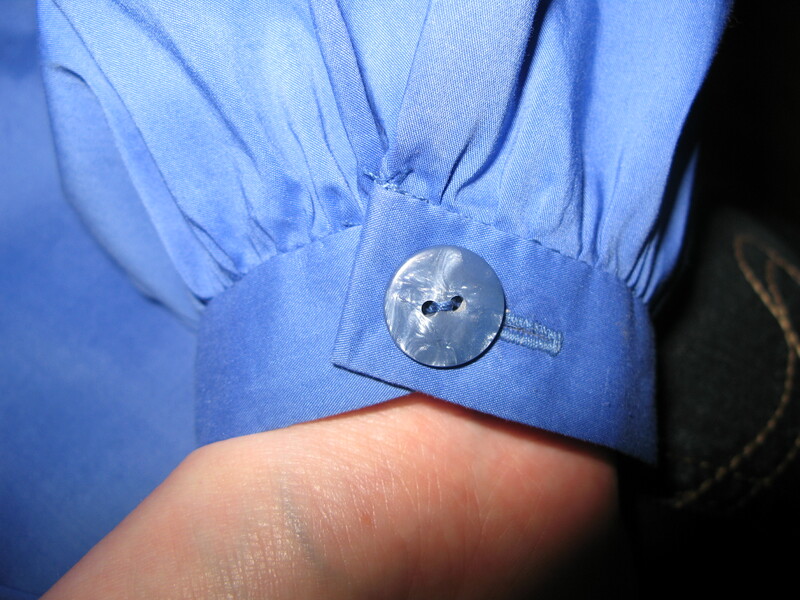 All that remains are the (dun dan daaaaaaaah) buttonholes (shudder). I will tackle these when wide awake after lots of practice. Certainly not this evening! 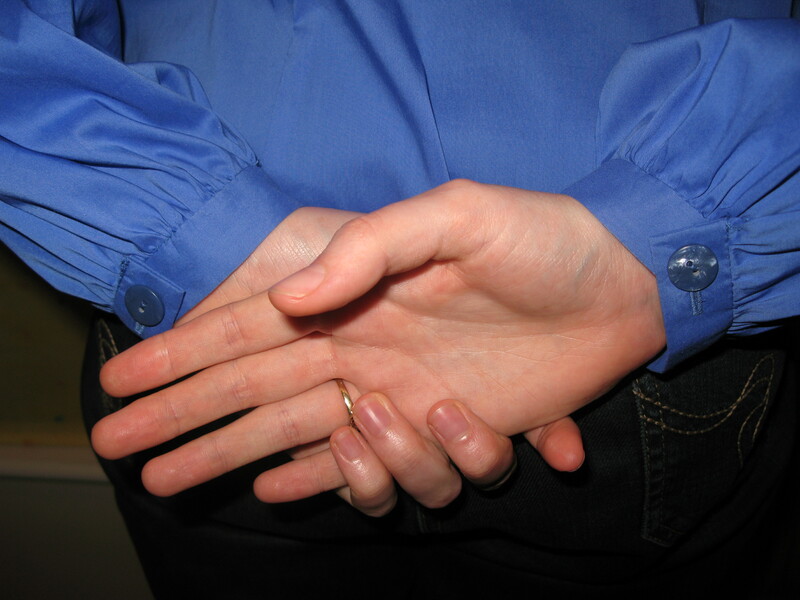 Here are the photos of shirt plus sleeves and cuffs. They need yet another pressing, but you get the general idea. 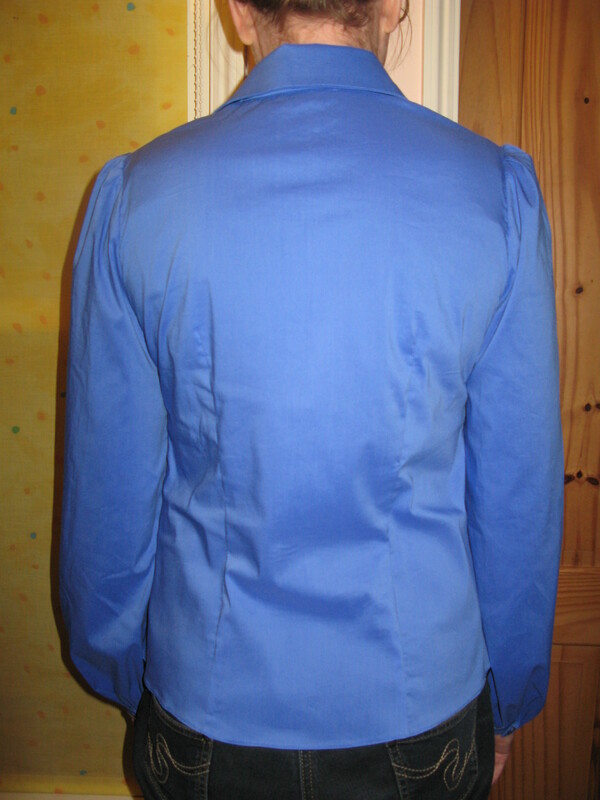 Once more I am SO pleased with the fit from the back. Wonderful! and now, for the final pinnacle of………….the pile of buttonholes. Yes, this small pile of innocent looking buttons is the cause of much concern and angst. 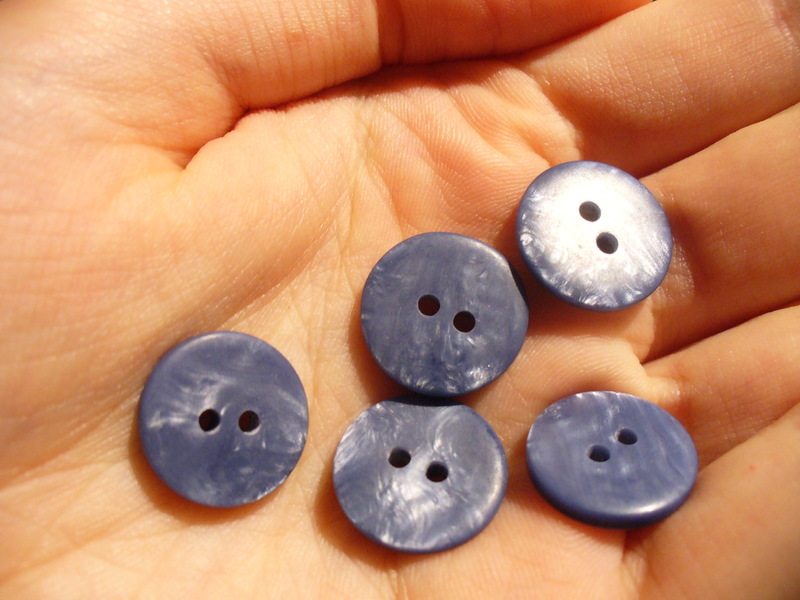 What these buttons are guilty of, you would never guess. First, there are not enough of them, the shop only had 10 instead of the 11 (!) this pattern call for. 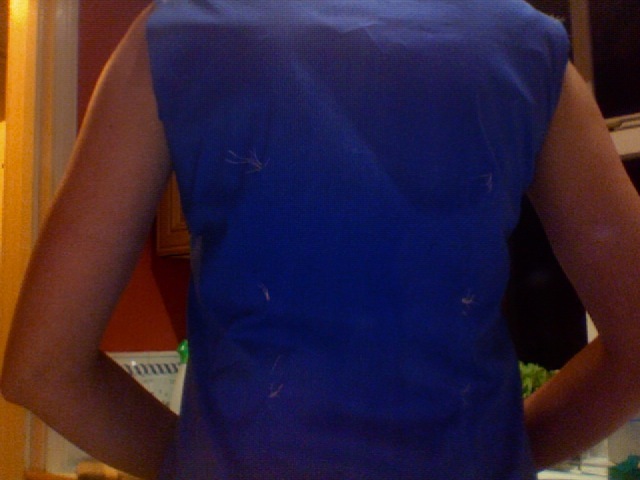 Next, there is the actual SEWING of the holes they will sit snugly in. 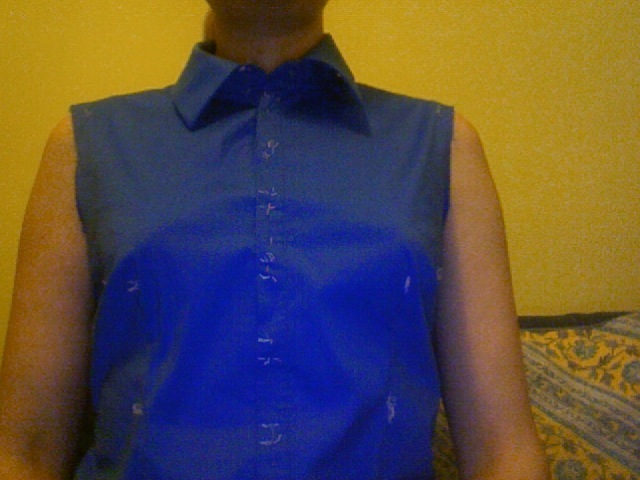 So far 2 down, and hopefully (if I can get away with removing the collar hole) 8 to go. I will continue to cross my fingers (but not whilst sewing) and take deep breaths. The end is in sight! OK, here are the latest photos the very nearly finished article – just got a few minor fitting tweaks to do. 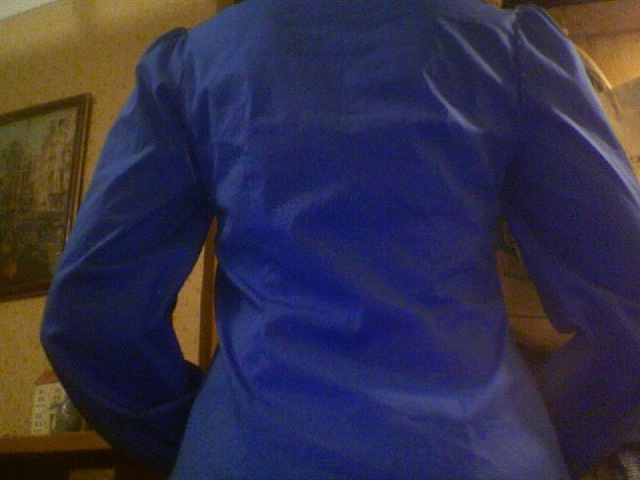 I think the lower part of the side seams need taking in a bit. 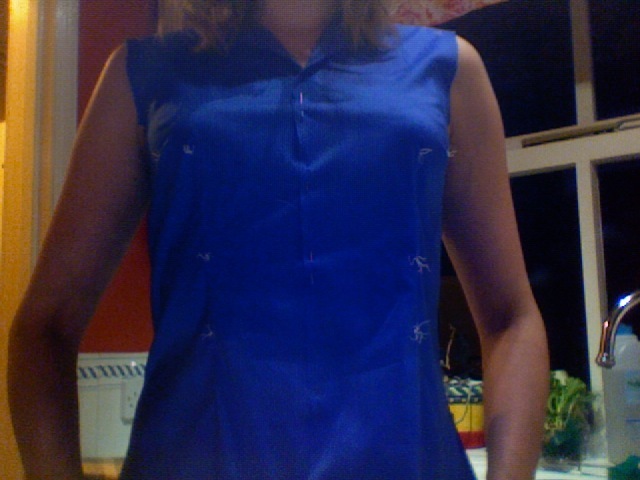 Tomorrow will reveal all when my dress making tutor gets to see it. 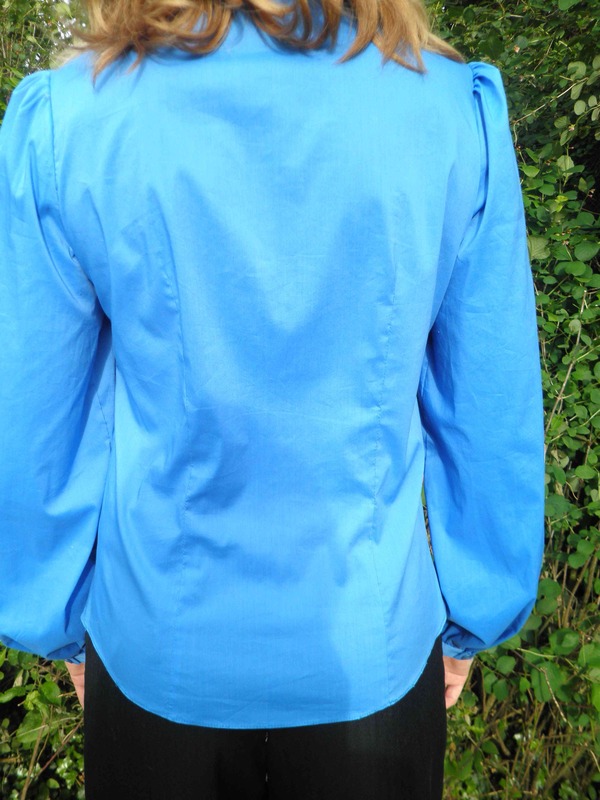 The side view shows the lower buttons curving out. My tummy isnt quite that rounded! so hopefully some more work to reduce this to a better, more straight, line. As you see the mid back is still a little baggy. Maybe the darts need widening? The good news was that my tutor said everything fit fine, and I didn’t need to redo anything or alter anything. I was still unhappy with my machine rolled hem, so unpicked the whole thing and after a good press it behaved itself much better. A small detail I know, but if it is going to be marked I want it to be perfect! My kind housemate helped me take the following photos, without her help it would have been quite difficult. 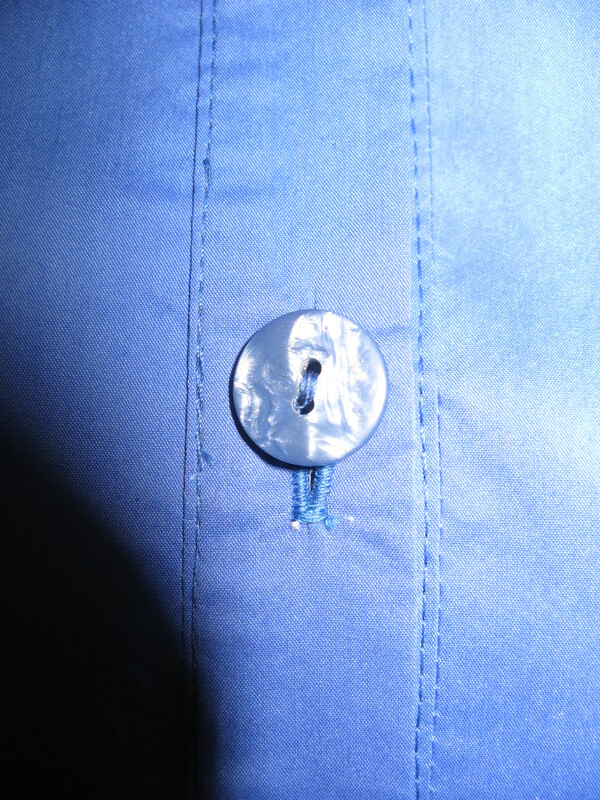 Details of the buttonholes which caused me so much grief. I also love the puffed sleeve heads and cuff detail. 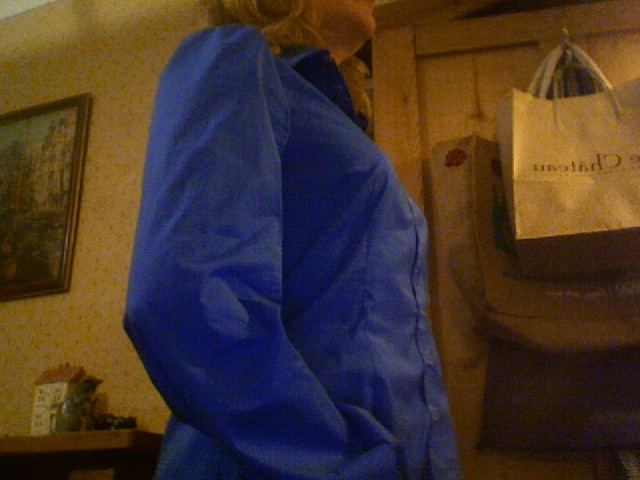 The front side profile still isnt quite perfect after the last button, but I can live with it. This fabric creases when you move in it so quickly! still, I am really proud of this and think it is now finally worthy of submitting to be examined for my course. And the final note, my review for the course.